Join Alex & Britni. One musician & one make up artist/performer. They love to drink and joke their way through their episodes. 1 episode each Monday with alternating segments & Guests. This sure isn't your daddy's podcast.. so you might want to get your earmuffs out cupcake. The cast includes a weekly horror themed alcohol shots for our #horrorshot segment. We also do a fun new creative exercise segment called #GravePlots where we make up movies on the spot and make up some pretty cool faux vhs covers for them too. 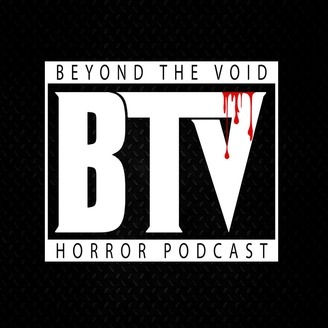 We cover current horror news, upcoming/new releases, contests and a lot more. We even do interviews with Directors, writers and programmers for games. Typically those are pretty in depth interviews. If you like approachable horror addicts that you could call a friend with an interest in Music, Games, Scripts and obviously Horror Movies. Then look no further. 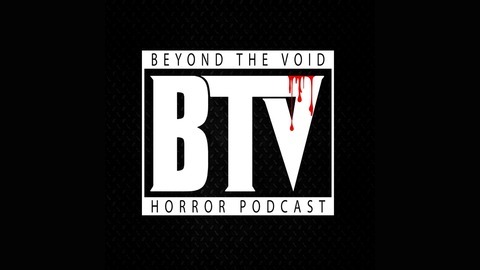 Buckle up and sit back as we pass through laughter town Beyond The Void Horror Podcast.